The partial US government shutdown which began on 22 December 2018 lasted 35 days and is the longest shutdown in US history. President Trump decided to re-open the government until 15 February to allow time for additional negotiations regarding the border security issues. 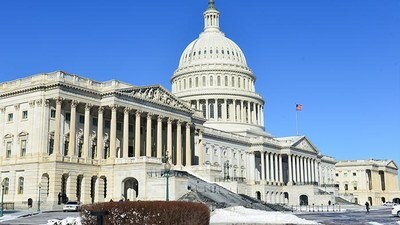 The Congressional Budget Office estimates that the recent shutdown will ultimately cost $3 billion as a direct result of the lack of provision of government services. Indirect effects are difficult to quantify and could be larger. Why was there a US government shut down? The partial US government shutdown was the 21st in US history and the longest running at 35 days. Shutdowns began in 1976 but the withholding of money for government services (the "funding gap") did not emerge until the seventh shutdown in 1981. Up until the 21-day shutdown that took place in 1995/1996 (the second longest on record), government shutdowns typically lasted between two and four days. The federal budget for FY 2019, which began on 1 October 2018, has already been agreed. However, Congress is required to pass "appropriations bills" designating how the funds will be divided among the various government agencies. The most recent shutdown arose because the President and the Democrat-controlled House of Representatives could not agree on how to allocate the final 25% of the federal budget. President Trump vowed to veto any bill which did not provide money for "the wall" between the US and Mexico, which he believes is necessary to discourage illegal immigration. The Democrats oppose "the wall" and refused to draft a funding bill which includes this. As a result of the shutdown, around 420,000 federal employees worked without pay (e.g. airport security, border agents, etc.) and another 380,000 were furloughed without pay (they kept their jobs, did not report to work and were not paid). On 26 January, President Trump announced the federal government would re-open until 15th February, leaving about three weeks for a new deal to be agreed. One silver lining in the shutdown is that there is now broad, bipartisan support to change the appropriations process so that the federal government keeps running at its current spending level until a final funding allocation is agreed (i.e. the "funding gap' would be eliminated).